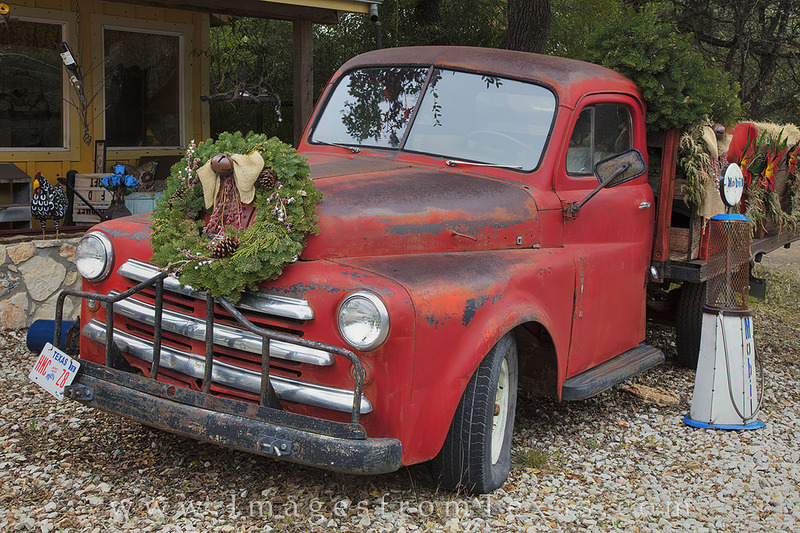 An old truck graces the front lawn of the Mercantile in Wimberley Texas nestled in the Hill Country. Each year, this business decorates for the holidays, as do many of the local vendors. Photo © copyright by Rob Greebon.